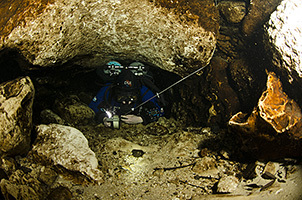 Owned by NSS-CDS, Cow is a members only site. 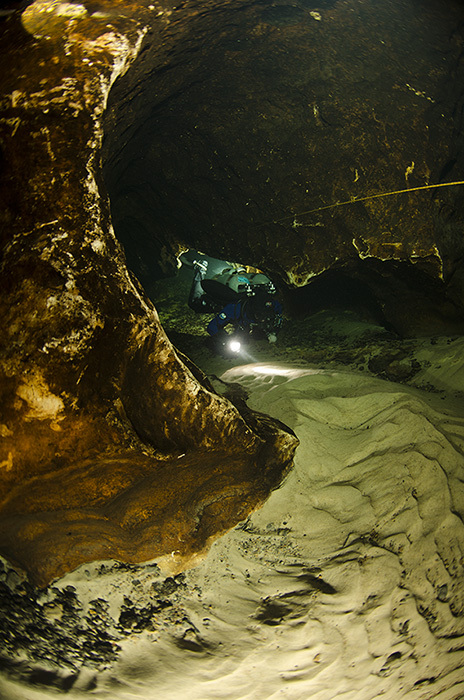 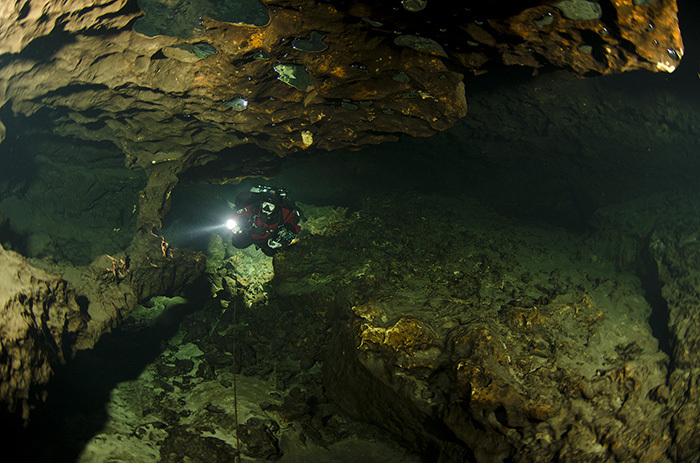 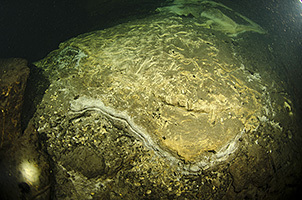 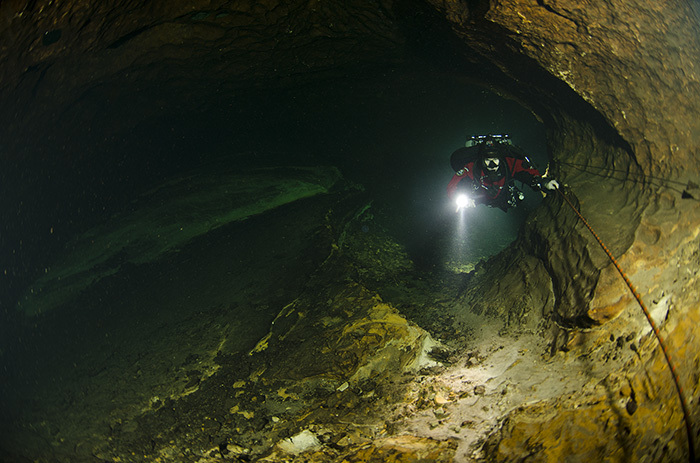 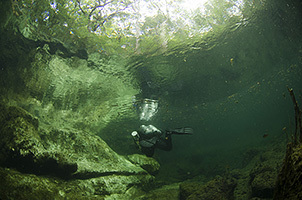 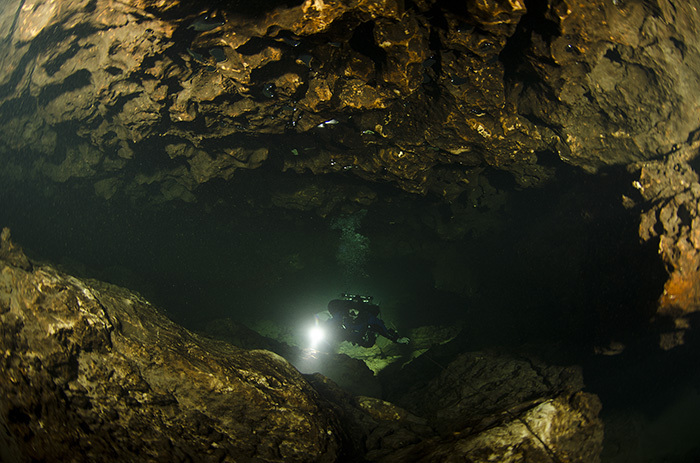 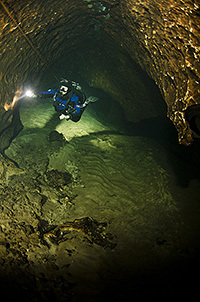 Having just bought the membership specifically to be able to dive Cow, we have spent several days learning that cave and really enjoying the rustic site. 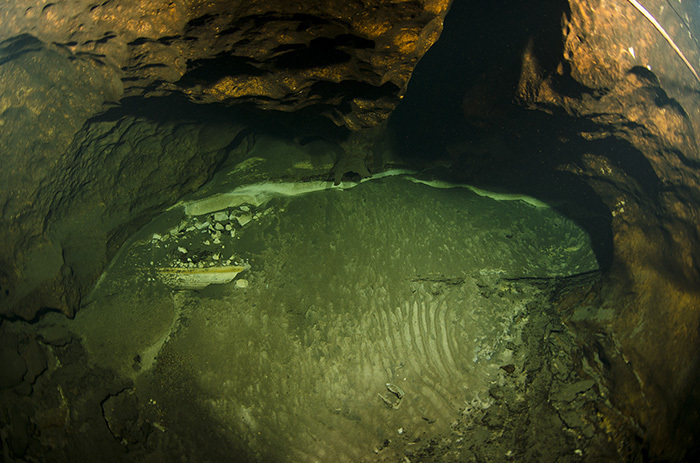 We were the last divers to dive it before the new stairs went in. 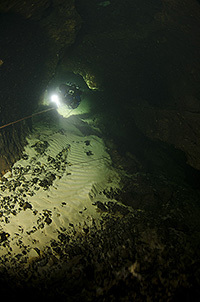 In fact, we were diving when the team of volunteers were busy building the stairs. 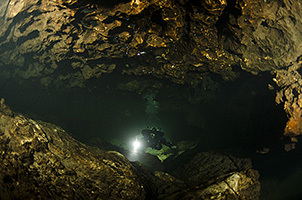 The cave was known for having a tricky (i.e. 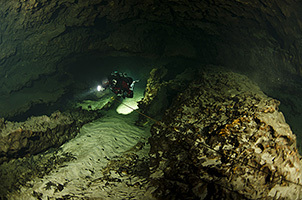 tight) entrance for backmount, so being a mixed side and backmount team, we took out time getting in. The first few dives, the restrictions did seem very tight, but as we got to know the way, it seemingly expanded. 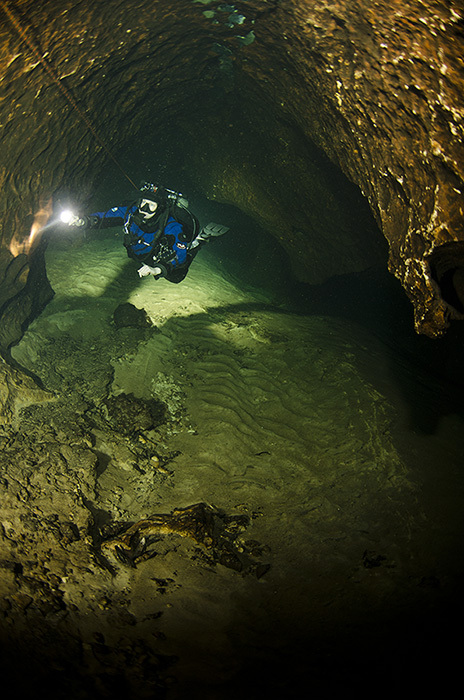 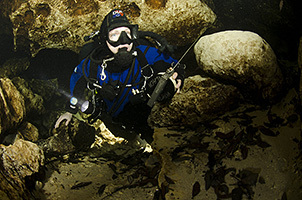 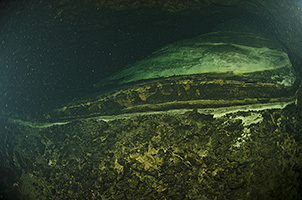 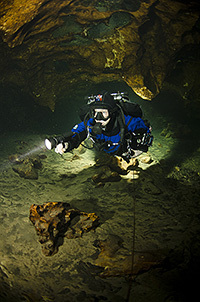 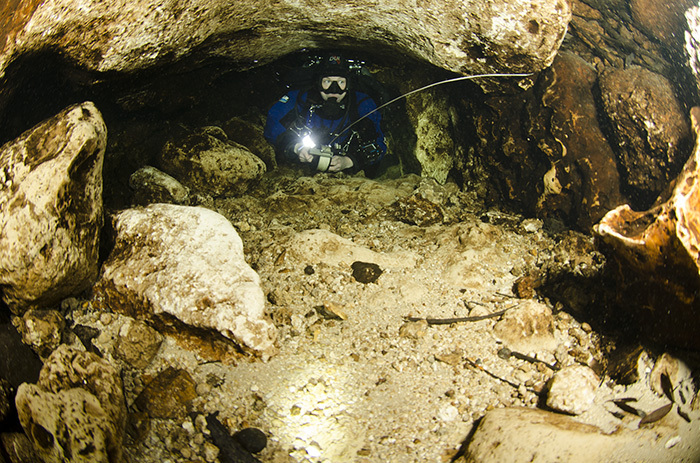 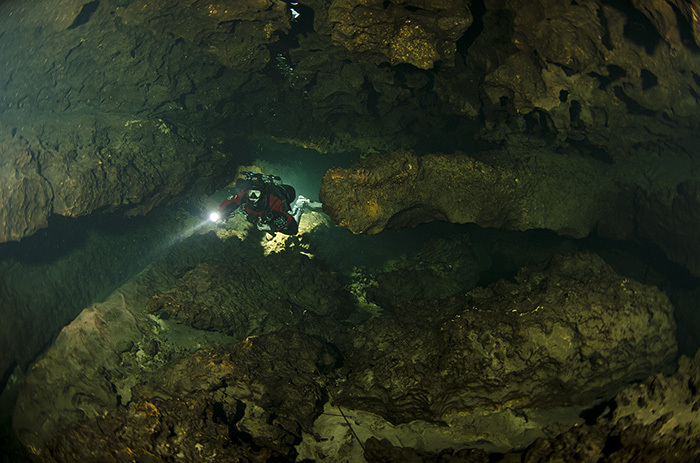 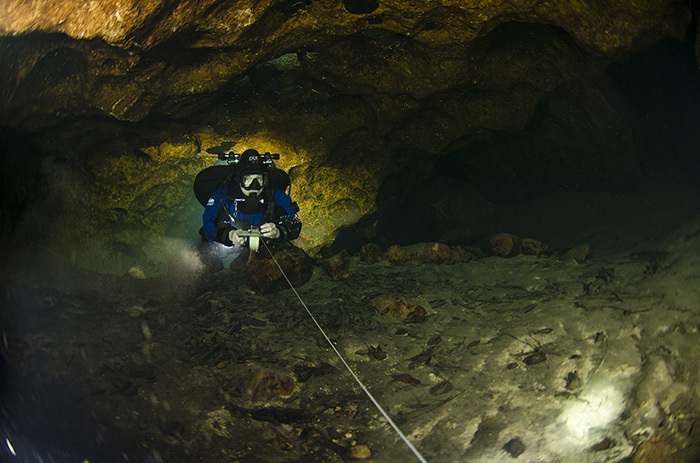 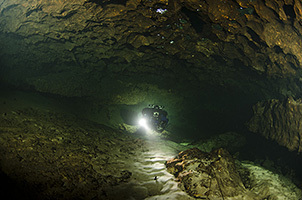 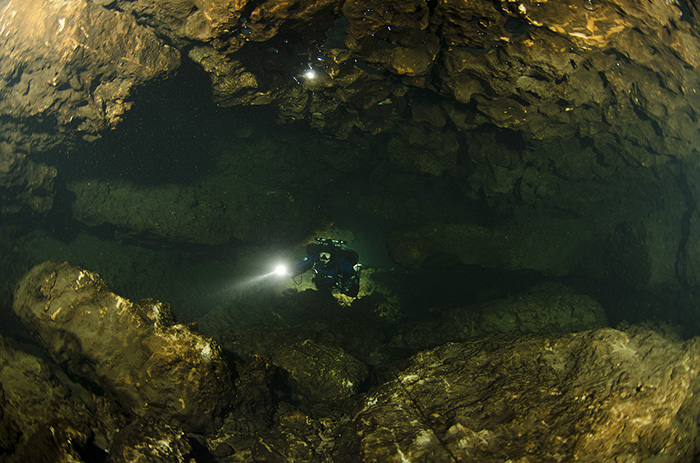 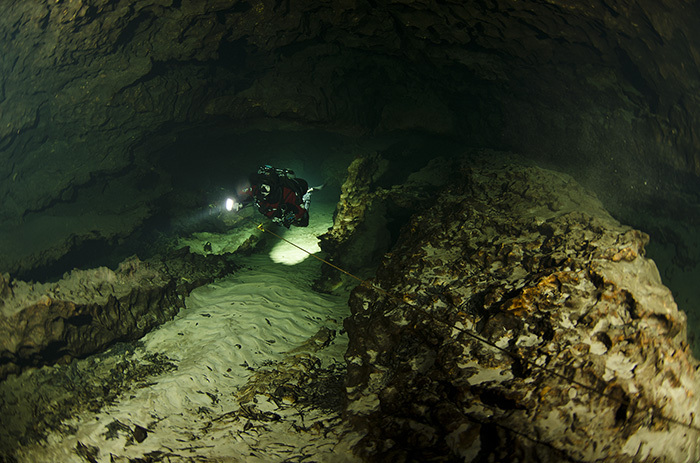 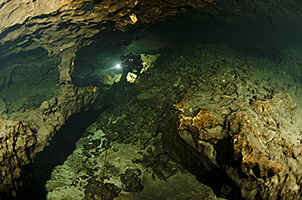 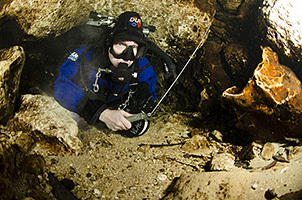 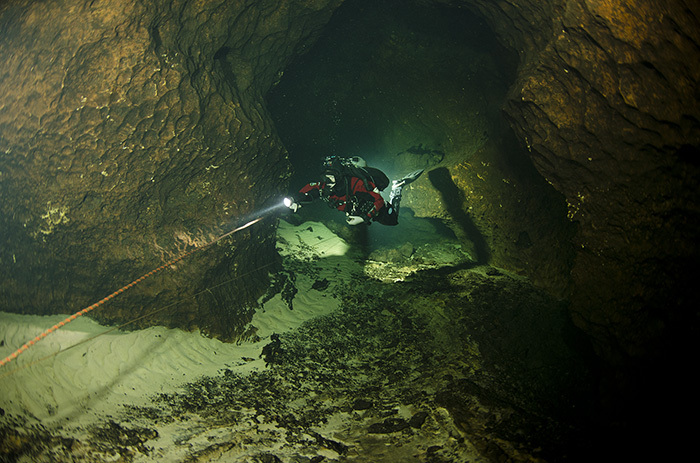 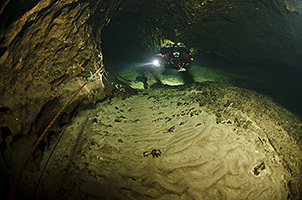 Being in sidemount, I felt very comfrortable getting in and out. According to locals, the flow was way down in May 2013, but still seemed very fast to us. 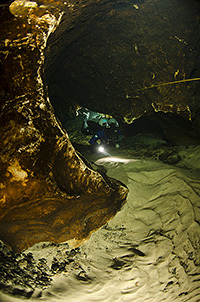 The cave is of course famous for its delicate clay banks, of which I need better pictures still. 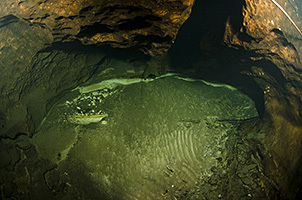 Cavern zone and the entrance restriction. 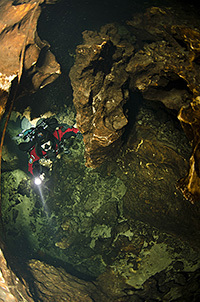 The rest of the cave.